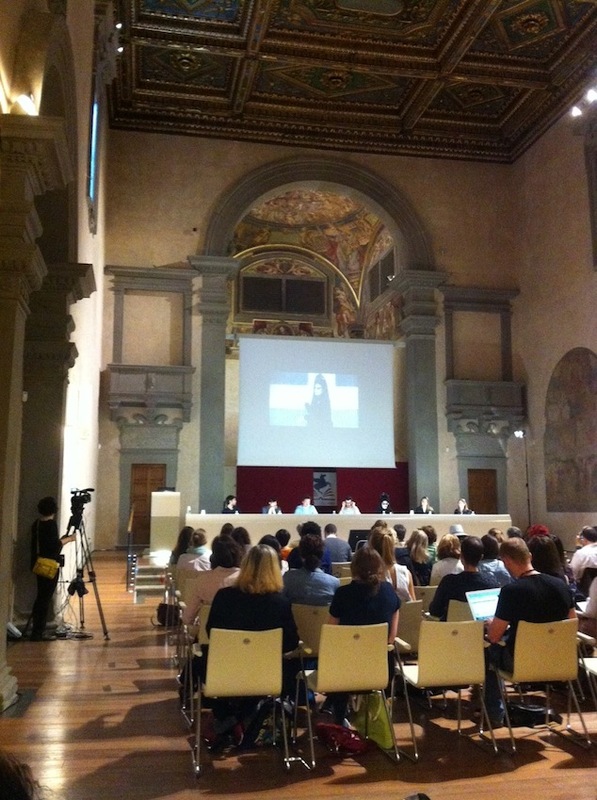 The Europeana Fashion Community gathered in sunny Florence on April 17 and 18. The conference offered some thought provoking and inspiring talks and discussions, presenting both the goals and ambitions of Europeana Fashion, as well as the many challenges that lay ahead of us when it comes to the digitalization and curation of our digital archives and databases. MoMu’s Europeana team – Dieter, Gabrielle, Henk & Tobias, were present as well, together with representatives of the 22 European partners. 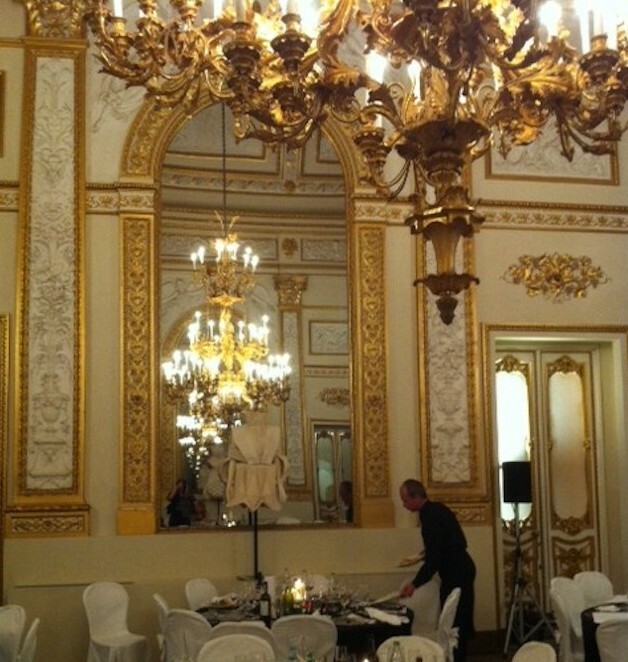 The first day of the conference MoMu’s director presented the plans for a digital platform in 2014-2015. The platform will have an online presence on the MoMu website and social media, as well as a physical space in the museum. It aims to document the work behind the scenes of the museum, as well as commission new digital products such as fashion films, and offer a platform for young talent: designers, video artists, researchers, …. The platform will create space for experiment and encounter, and offer the possibilities for opening up the notion of fashion curation, through interaction with other museum professionals and fashion specialists. On the evening of April 17, after a long day of presentations and discussions, Linda Loppa, former director of MoMu and current leading lady at Polimoda, hosted a gala dinner at the Villa Favard. Linda still knows how to bring people together and give her guests a warm welcome! 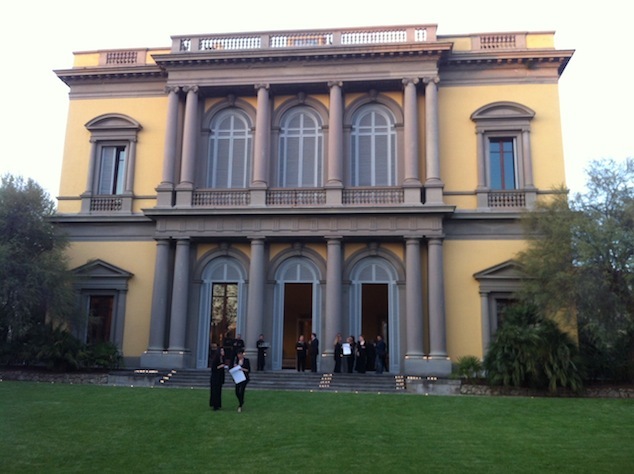 The amazing setting of the Villa, the excellent Italian food and wines, the wonderful mix of Florence’s fashion industry, the Europeana fashion community and the Polimoda team, made for a perfect evening! Grazie mille Linda! The second and final day opened with a panel discussion on fashion in new media, with Anja Cronberg (editor in chief of Vestoj), Marie Schuller (responsible for fashion film at SHOWstudio), Geer Oskam (senior marketing specialist at Europeana), blogger and fashion journalist Diane Pernet (MoMu will host Pernet’s fashion film festival, ASVOFF, in the autumn of this year), Gabriele Monti (IUAV) and Agnès Rocamora (London College of Fashion). 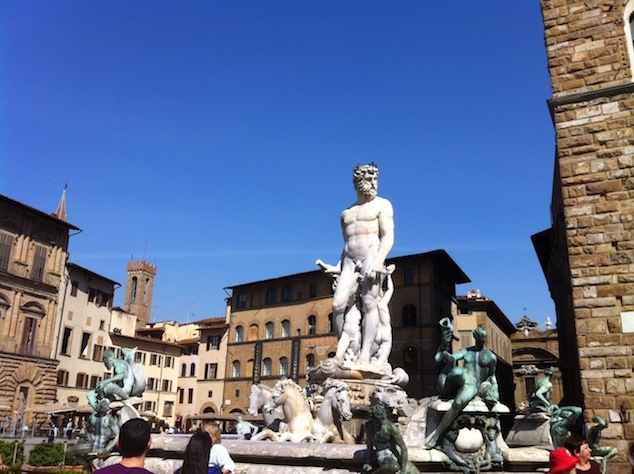 In the afternoon some time to visit the Gucci and Ferragamo museums, and Palazzo Strozzi, who are presenting the wonderful exhibition ‘The Springtime of the Renaissance – Sculpture and the Arts in Florence 1400-1460’. This entry was written by Kaat Debo, posted on April 24, 2013 at 21:56, filed under Europeana fashion and tagged Kaat Debo, Linda Loppa, Symposium. Bookmark the permalink. Follow any comments here with the RSS feed for this post. Both comments and trackbacks are currently closed.